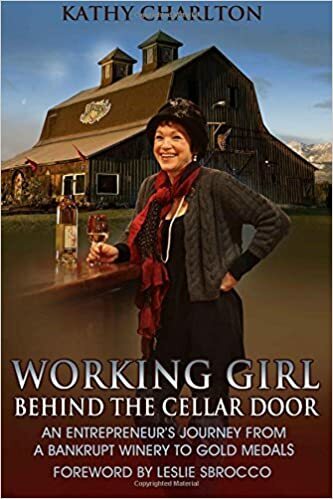 Working Girl: The Magnificent Woman - Riesling! The Magnificent Woman - Riesling! Today I was creating 'Shelf Talkers' for our wines sold in the stores. You know... those 2x4" tags that hang off the shelf with wine descriptions, accolades and "whatever"... just calling out for your attention amongst the never ending rows of wines and choices. I got stuck on our Dungeness White Riesling, wanting the perfect "catchy" tag line, so started Googling and hit the mother lode! 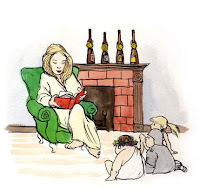 Well, given that I'm a Working Girl the following narrative from AppellationAmerica.com so caught my attention. You are the matriarch, though your numerous offspring rarely match your noble nature. You teach us to say words like 'trockenbeerenauslese' with reverence and pride. You approach every situation with grace and elegance, yet remain firm when the situation dictates. You bring balance to an unbalanced world of Chardonnayism. You are without question the Queen of the Rhineland, with a commonwealth extending to the far away lands of Australia, Canada and America. You are The Great Lady ~ La Grande Dame ~ Die Grossartige Frau! Back to Google's language translator... Die Grossartige Frau - The Magnificent Woman! I can't get the following words on a 2x4" card and without it the catchy phrase "The Magnificent Woman" won't work... but the description is dead on. Riesling gives wine lovers the finest example of the important complementary role that sugar and acid play in a wine’s overall balance. Indeed, a great Riesling is exactly that, a stunningly graceful contrast between the two. Rounding out the package are the signature floral fruit characteristics that combine perfectly with the grape's natural sugar-acid balance. This gives Riesling the potential to age gracefully for years, becoming more supple and luxurious. And ladies... as I approach my 60th birthday, words like "grace and elegant, 'gracefully aging' and 'becoming more supple' are music to my ears. Having turned 50 this past month - I too appreciate this incredible description! Yes, it was a wonderful Reisling that finally pulled me into the world of wines. Thank you "Magnificent Woman"! My wife just turned 60, I will do so as well in a month. We both can relate to your Magnificent-ness! And we wholeheartedly agree with your description of your Olympic Cellars Reisling. We find it soooo yummy!